It looks like scratch cooking of school meals may, some day, come to San Francisco’s public schools. After years of relying on outside vendors like Revolution Foods and Preferred Meals, SFUSD may take the first step this fall on the road toward a self-operating, scratch cooking meal program (called “self op” in school lunch jargon). But it will be a very long road. At its last meeting of the 2015-16 school year on June 28, the SF Board of Education will vote to place a school facilities bond on the November ballot. Buried deep in the project list of what the $744 million bond will pay for (on page 23 of the meeting agenda) is some great news for everyone who cares about better food for students – $20 million is designated for Student Nutrition Services (SNS) to, among other things, renovate existing kitchens at schools around the city into so-called “regional kitchens” to scratch cook for all of the other schools in their area. Passage of the bond by 55% of voters in November would bring SFUSD a little closer to the ultimate goal of cooking fresh meals for all students every day. 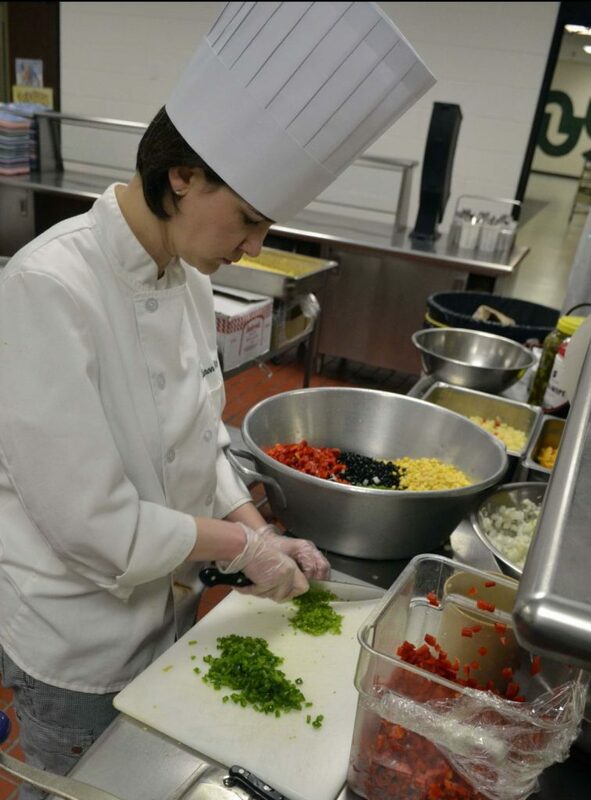 But of course, passing the bond and renovating some high school kitchens is just the start of what will be needed to get those homemade meals onto student lunch trays. There are a lot of expenses associated with running a self-op meal program, and it is unclear how those costs will be covered. It may be that SNS expects to pay these additional costs with money saved from not having to purchase meals from outside vendors, and that would make the most sense. However, with the 2016-17 projected budget showing (on page 16) a SNS deficit of $3.3 million for the school year just concluded, a very large amount of savings will have to be realized just to bring the department budget to break even, before any money is freed up to pay for the added costs of self-op. For example, the bond – which is for facilities – does not include money to cover the higher labor costs associated with a self-op scratch cooking program, which should be led by chefs with culinary training who are fairly compensated for their abilities. There are no chefs currently employed by SFUSD; the top position right now is cook/manager. The existing “chef” position within SFUSD pays just under $30 an hour at top step, or $3.33 an hour more than the current high school cook/manager position. However, it is uncertain whether anyone with culinary arts training and experience will be interested in a high volume job paying about $43,000 a year, even with summers off, in a city where the cost of housing alone makes it nearly impossible for those earning under $75-$100,000 a year to find an affordable place to live. With as many restaurants as San Francisco has, all of them chasing the same limited pool of trained and experienced chefs, it might take a higher pay scale to attract and retain the professional talent needed to make a scratch cooking program successful. By way of comparison, Daniel Giusti of Brigaid, an organization that expects to place six culinary professionals into schools in New London, CT, this coming school year, is offering to pay chefs $60,000 plus benefits, to cook for the students at just one school. The six New London schools enroll between 250-950 students each, depending on grade level. Here in San Francisco, even if the self-op program serves only middle and high schools at first, it is still likely to require each regional kitchen to be capable of feeding the hungry students of 4 or 5 nearby schools enrolling thousands of students. For example, a regional kitchen at Lincoln High School in the Sunset could scratch cook not only for Lincoln’s 2046 students, but also for nearby Lowell High School’s 2685 students, Giannnini Middle School’s 1214 students, and Hoover Middle School’s 977 students (all figures are 2015-16 enrollment). Surely a chef responsible for such volume would expect to be paid at least as much as one of Giusti’s chefs at a 250 or 500 student school in New London? Another crucial component of self-op regional kitchens would be a central warehouse for Student Nutrition Services. Lacking such a facility makes it nearly impossible to purchase needed supplies in sufficient volume to maximize savings, or even to ensure such simple but essential elements as ripe fruit. For example, pears and bananas are generally shipped by suppliers while still hard, to prevent bruising; before being served, they are supposed to be allowed to ripen for several days. However, lacking vermin-free storage space, SFUSD kitchens have been forced to serve fruit immediately upon delivery. Not surprisingly, students don’t care for rock hard pears and green bananas. A proper warehouse would provide enough vermin-free storage for fruit to ripen before being offered to kids. The bond could pay for construction of or renovation to existing warehouse space for SNS, but not for the labor to run the place; that would be another ongoing expense SNS would have to cover. Then there is the issue of delivery. Revolution Foods currently has not only the contract for providing their meals to schools, but also the separate delivery contract. That’s convenient so long as Rev Foods is the main meal provider for all SFUSD schools. But what happens when all schools, or even just the middle and high schools, are instead getting all their meals from the regional kitchens? Revolution Foods is not really in the delivery business. They never bid on the SFUSD meal delivery contract; instead, they were awarded the contract on an emergency basis (and at a higher cost to SFUSD) last fall after the winning bidder, Preferred Meals, messed up on delivery early in the school year. Delivery costs soared this past school year, necessitating the Board of Education to approve a transfer (on page 129) of over $270,000 in unspent funds budgeted for SNS salaries to instead cover delivery cost overruns. The proposed budget for 2016-17 shows (on page 219 of Volume 2) nearly half a million dollars more budgeted for “services and other operating expenses” (including delivery) for the upcoming school year, an increase of 34% over the year just ended. Next year, Rev Foods is expected to continue to handle deliveries, but if the plan is to eventually send scratch cooked meals from the regional kitchens to all district schools, then that would undoubtedly require a new delivery contract to be bid, possibly at even higher cost. That cost is not covered by the bond, which can only pay for construction and equipment, not ongoing expenses like labor or services. So that’s another piece of the self-op puzzle that will have to be addressed before SFUSD students are actually eating scratch cooked meals. Securing bond money to continue these “refreshes” going forward would allow SFUSD to proceed with cafeteria renovations even if outside funding dries up, making SNS less reliant on private donors to drive improvements. Donors have helped to jump start changes in a department that has long been hamstrung by its growing deficit, but at a certain point, it becomes the responsibility of the community to take ownership and support improvements to the meal program that nourishes its children. Funding kitchen and cafeteria upgrades through public bond money, not private donations, helps establish public ownership (as well as public oversight) of this process. Even if it takes years before every student is served a freshly cooked lunch prepared right here in San Francisco’s schools, it will be well worth the wait. And it has to be better than what SFUSD is doing for lunch right now, which clearly isn’t succeeding.